This award is thoroughly deserved and is another proud day for our great union says GMB London. 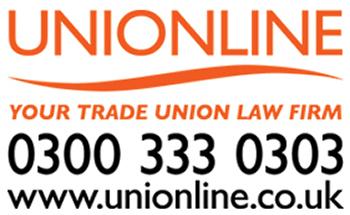 GMB London branch secretary, Steve Garelick, has been awarded the TUC Organiser of the year award for his work with private hire and taxi drivers and the gig economy at this year’s TUC Congress held in Brighton. Steve has been branch secretary for the GMB Professional drivers since June 2014 and has grown the membership by 42% in three years. The TUC makes the award to recognise the outstanding achievement of union reps in representing women, young workers, learning at work, union organising and improving health and safety conditions in the workplace. Steve Garelick's work in organising in the cab sector has been recognised this year. During Steve’s time as branch secretary he has put the issues of professional drivers front and centre whilst dealing with many diverse issues including DBS check problems; physical and verbal driver assault and non-payment issues; rear payment machines in London taxis, workers’ rights cases for Uber and Addison Lee drivers and other workers in zero hours and precarious work contracts; improving fare tariffs for members in several local authorities; representation on behalf of drivers to local authorities; responding on public consultations; sitting on the meeting of minds group; and, giving evidence to Matthew Taylor review of modern working practices. “Steve has worked tirelessly over many years and this award is an outstanding achievement and recognises the contribution he has made to helping drivers and other gig economy workers get the basic workers’ rights that they are entitled to. “Steve works long days, weekends and late in to the night representing GMB members to make sure they have a voice. An exceptional Branch Secretary and Steve continues to be a great ambassador for GMB.